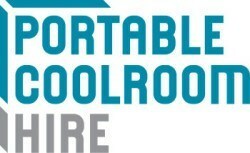 What size coolrooms are have available to hire? What size do I need for storing food and drink? Our small coolrooms (4’x4’) will cater for up to 50 people, medium coolrooms (6’x4’) are good for 60-120 people and the large (8’x6’) are suited to larger events. Can I hire a freezer coolroom? Yes, our large (8’x6’) coolrooms are available as a freezer. Do the Coolrooms have shelves? Yes. The small size has two shelves, medium has two shelves down one side and the large has two shelves down each side that are also removable. How many slabs of beer will they hold? The small is best for smaller gatherings, the medium will hold approximately 30-40 slabs and the large approximately 70 slabs. Cash, cheque, Visa, MasterCard, direct credit or EFT. What power source is needed to run the coolroom? Standard 10 amp GPO (general power outlet) – please allow approximately one hour for the unit to cool. ‘If required we can provide: “Hitch-Lock” and key, padlock and key for the door and a trailer lead (flat and round). Please note: these accessories are chargeable if not returned and extension leads are NOT provided. Do the coolrooms have lights? Yes, each coolroom is fitted with an internal light (non switched). · Yes, the charges vary depending on location. Contact us for a quote. Does Portable Coolroom Hire insure your product for loss or damage? Unfortunately you must provide your own insurance. Can I pick up my coolroom? Yes, contact us to arrange or to ask any questions regarding pick up.